Amsterdam had been in my dreams for a long, long time. The trip was something I started planning and preparing for months before it actually happened. Last week, I finally visited the city, and it took my breath away. 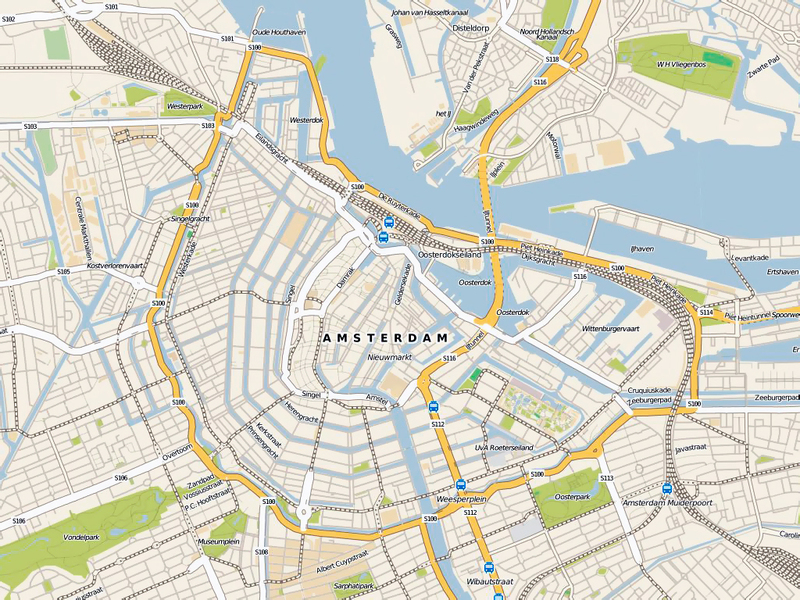 Getting to Amsterdam from the Schiphol airport (AMS) is fast and effortless: you can ride a bus (€6 and 15 minutes to the Amstelveen bus station) or a train (€4.30 and 20 mins to Amsterdam Centraal), or take an Uber (€20–25 and roughly 15 minutes). The place I lived at is located not in Amsterdam itself, but in the suburban town of Amstelveen. The moment I got off the bus, I was astonished by the quiet and peaceful neighborhoods of Amstelveen. As I was going to find out later, the whole town is just like that: filled with two- to three-story houses, divided by narrow streets, and with bike lanes on every single street. I arrived on October 31st, which gave me a chance to see how Amstelveeners celebrate Halloween (if they even do). What I saw gave me a sense of community in Amstelveen: people dress up their houses with fake spider webs, carve pumpkins, and place baskets with candies outside so that anyone (primarily kids) can have them whenever they want. If goes without saying that local grocery stores had bunch of Halloween food, like these “pumpkin” profiteroles. Another thing that indicated strong community in Amstelveen was the leisure center (called Randwijck Markt) which doubles as a coworking area in the daytime and a club in the evening, where residents gather to share stories, sing, and discuss town matters. A nice lady who works there invited me to see what’s inside and have a cup of coffee, but I had things to do, so I politely declined the invitation. Moving on to Amsterdam itself, the first time I saw the city was through the subway train’s window. Train 51 can take you from the suburban town of Amstelveen to Amsterdam Centraal (Central Station) in about 20 minutes. You see, Amsterdam is not a big city, compared to Rome or Paris. As you approach the downtown, you first travel through business districts with a lot of office buildings that have names of well-known companies sparkling on their roofs. I haven’t been to those districts, so it’s hard to tell what it feels like to work in Amsterdam. The city core looks and feels just like in the photos I’d seen on the web before the trip. Amsterdam Centraal is the starting point for many Amsterdam visitors. Like Venice, Amsterdam is divided by countless canals. 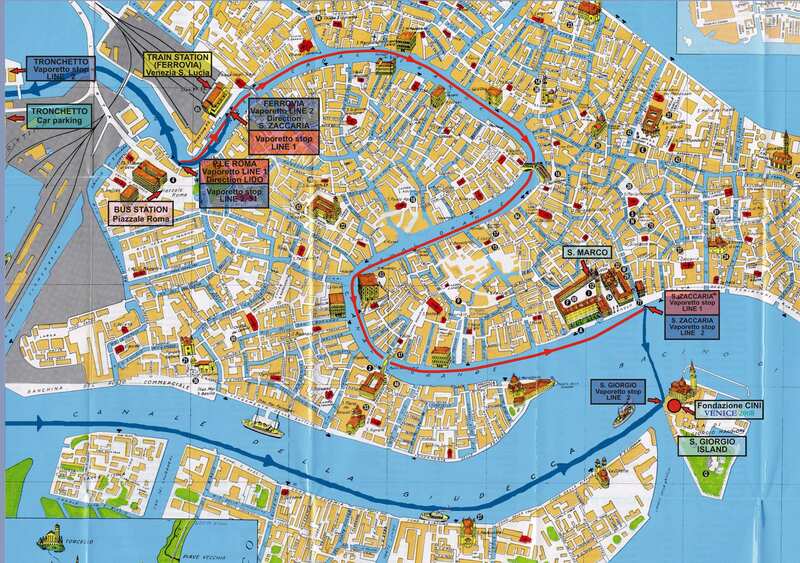 Unlike Venice, those canals don’t show up in random places—there’s certain logic: just compare the map of Amsterdam with the one of Venice. Dull and rainy days are a usual thing for the city. Amsterdam’s architectural style appeals to me. The city is absolutely full of bike riders. They’re everywhere, and sometimes it gets pretty dangerous, especially if you’re not used to them sneaking all around. Just take a look at how many bikes there are in a single street! If I were asked to name a city that offers the best selection of food, I’d undoubtedly name Amsterdam. Compared to all the places I’ve visited over the past couple of years, Amsterdam gives you the biggest choice of different styles and cuisines. From traditional burgers-and-fries fast food to pizza to Turkish doner to spiciest Asian dishes—Amsterdam’s got you covered. Classic chicken-and-jalapeño pizza (€2.99). This beef and vegetables with Szechuan sauce is one of the spiciest things I’ve ever tasted (€10). Amsterdam houses many museums and other points of interest: from the Rijksmuseum to the Anne Frank Huis to the Torture Museum to the Museum of Prostitution. Museumplein (Museum square) is located between three museums: the Rijksmuseum, Van Gogh Museum, and Stedelijk Museum. Speaking of things you can buy in Amsterdam, it’s hard not to mention three more categories. Of course you’ve heard about flower auctions in the Netherlands. But you don’t have to buy wholesale to enjoy beautiful (and sometimes unusual) flowers. Personally, I’d never seen black tulips before I did at Bloemenmarkt, the world’s only floating flower market (as read on Wikipedia). Coffeeshops are everywhere in Amsterdam. And it’s not unusual to see (or rather smell) people smoking marijuana in the street (even though it’s not officially allowed). That thing is crazy. Don’t do it. Nightlife in Amsterdam is as various as the city’s food. The infamous Red-light district (De Wallen) houses countless bars, clubs, and brothels (although the latter looked like a joke). Amsterdam’s Vondelpark is one of the largest and best-known parks in the city. It’s a classic public park, as seen in most other cities I’ve been to. And yes, it has bike riders everywhere. Street art is not rare to see, even in remote neighborhoods. And in the evening, the city appears in a whole new light (literally). Amsterdam showed itself to be a comfortable city for living, with plenty of opportunities for leisure and entertainment, and various work options (at least if you work in IT). If I had to choose between living in the city of Amsterdam and the suburbs, I’d probably opt for the latter for its quiet streets (once again, I’m not a fan of big cities).